Our Aluminium Composite Entrance / Front Doors are constructed and fitted to the highest standards in the industry. Offering a perfect combination of innovation, engineering and style yet still maintaining excellent security and energy efficiency. All our doors are provided by Spitfire doors, one of the UK most renowned suppliers of Aluminium Composite Doors. Providing vast levels of customisation and integrated technology you can design a door which totally matches your style and your property. 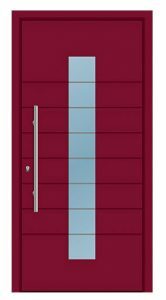 Our top-of-the-range S-500 Series of beautiful front doors is meticulously engineered with substantial aluminium sections from Schüco combined with German-engineered precision locking systems. Selected models come with biometric entry or automatic keyfob opening. Make your choice from luxurious wood or opulent carbon fibre effect finishes. 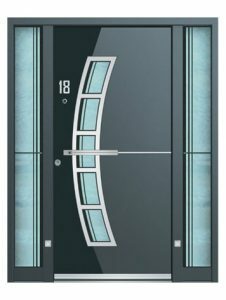 For over ten years now, these incredibly secure, stylish, contemporary designer doors have established an unrivalled reputation with the most discerning customers across Europe and also in the very hot and challenging climates of Africa and far east Asia. If you would like to find out more about the Spitfire S-500 or S-200 Series entrance doors then contact us today, download the Spitfire S-500 and Spitfire S-200 brochure or try our S-500 door designer and S-200 door designer to build the perfect door for your property.